Upload GIF image using "Add File". Now Right click "Download" button and select "Copy link address". Use notepad to edit links safely. Also see Who visited my Facebook Profile recently? Delete its extension and the last digit after '/'. as well as the download text. 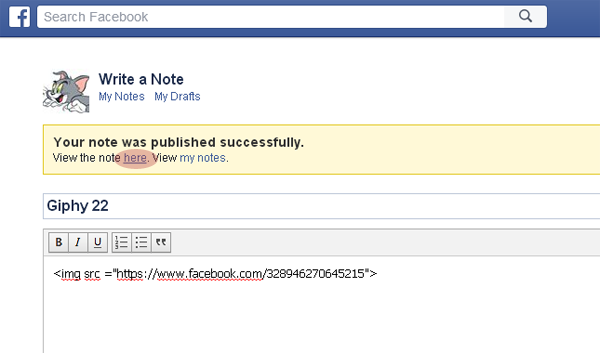 Open your Facebook Notes and insert above code using New Note. Give a suitable title name. Before just put it in below code format. Publish your note and click on View. Now click on "here" and copy the link available in the web browser. Even if it is not moving just copy the link. Just replace YOUR_NOTES_LINK_HERE with the link copied from the note above. Use this modified link and paste it in the address bar. 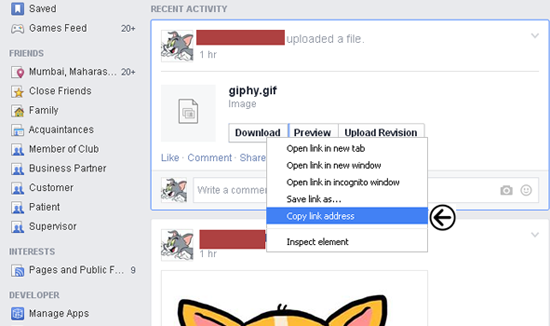 This method will surely work on small GIF files and once someone clicks on it, they will be redirected to your Notes page. You may also like, How to Create Facebook Call-to-Action (CTA) Pop-ups? 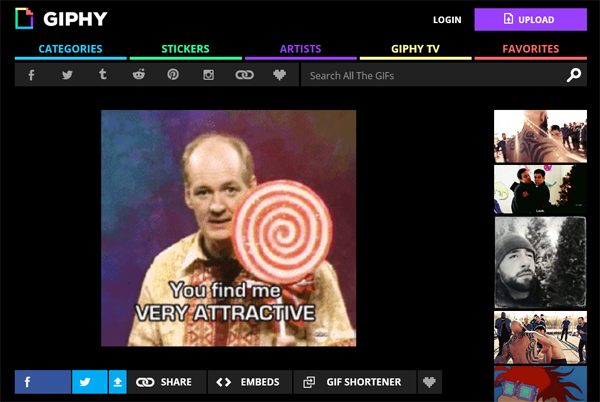 giphy.com successfully loop a GIFs on Facebook. 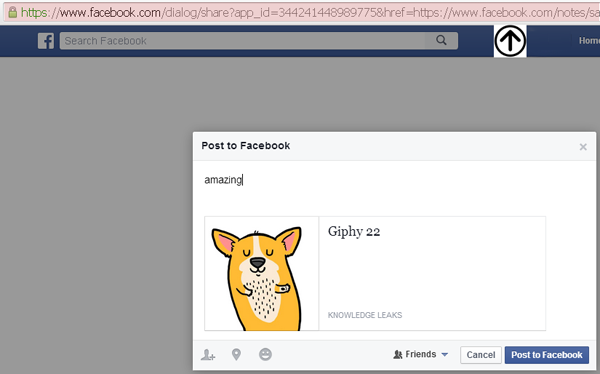 Recently they came up with the new tabs on the website to directly share on facebook walls. Just have a look here.